Match ends, Paris Saint Germain 3, Monaco 1. Second Half ends, Paris Saint Germain 3, Monaco 1. Attempt blocked. Rony Lopes (Monaco) left footed shot from outside the box is blocked. Offside, Paris Saint Germain. Kylian Mbappé tries a through ball, but Edinson Cavani is caught offside. Attempt missed. Rony Lopes (Monaco) left footed shot from outside the box is too high. Assisted by Gelson Martins. Goal! Paris Saint Germain 3, Monaco 1. Aleksandr Golovin (Monaco) right footed shot from the centre of the box to the centre of the goal. Assisted by Carlos Vinicius. Delay in match Fode Ballo-Toure (Monaco) because of an injury. Attempt blocked. Aleksandr Golovin (Monaco) right footed shot from the centre of the box is blocked. Assisted by Carlos Vinicius. Substitution, Paris Saint Germain. Edinson Cavani replaces Leandro Paredes. Attempt missed. Adrien Silva (Monaco) right footed shot from outside the box is high and wide to the right. Assisted by Rony Lopes. Attempt missed. Aleksandr Golovin (Monaco) header from the centre of the box is just a bit too high. Assisted by Fode Ballo-Toure with a cross. Offside, Monaco. Diego Benaglio tries a through ball, but Carlos Vinicius is caught offside. Substitution, Monaco. Jean Eudes Aholou replaces Jemerson. Attempt missed. Carlos Vinicius (Monaco) header from the centre of the box misses to the left. Assisted by Fode Ballo-Toure. Attempt missed. Jemerson (Monaco) right footed shot from outside the box is too high. Assisted by Aleksandr Golovin. Attempt missed. Aleksandr Golovin (Monaco) left footed shot from the left side of the box is high and wide to the left. Assisted by Rony Lopes. Attempt blocked. Benoit Badiashile Mukinayi (Monaco) left footed shot from outside the box is blocked. Goal! Paris Saint Germain 3, Monaco 0. Kylian Mbappé (Paris Saint Germain) left footed shot from very close range to the centre of the goal. Assisted by Dani Alves. Offside, Paris Saint Germain. Neymar tries a through ball, but Moussa Diaby is caught offside. Corner, Paris Saint Germain. Conceded by Benjamin Henrichs. Attempt missed. Dani Alves (Paris Saint Germain) right footed shot from the right side of the box misses to the left. Assisted by Colin Dagba. Attempt missed. Dani Alves (Paris Saint Germain) right footed shot from the right side of the box misses to the left. Kylian Mbappé (Paris Saint Germain) hits the left post with a right footed shot from a difficult angle on the left. Assisted by Neymar. Offside, Paris Saint Germain. Neymar tries a through ball, but Kylian Mbappé is caught offside. Substitution, Paris Saint Germain. Neymar replaces Layvin Kurzawa. First Half ends, Paris Saint Germain 2, Monaco 0. Attempt saved. 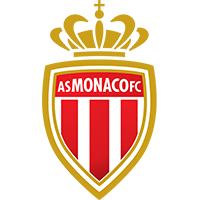 Adrien Silva (Monaco) right footed shot from outside the box is saved in the centre of the goal. Corner, Monaco. Conceded by Alphonse Areola. Attempt saved. Gelson Martins (Monaco) right footed shot from the centre of the box is saved in the top centre of the goal. Attempt saved. Kylian Mbappé (Paris Saint Germain) right footed shot from a difficult angle on the left is saved in the bottom left corner. Assisted by Layvin Kurzawa. Goal! Paris Saint Germain 2, Monaco 0. Kylian Mbappé (Paris Saint Germain) right footed shot from the centre of the box to the bottom right corner. Assisted by Dani Alves with a through ball. Attempt missed. Kylian Mbappé (Paris Saint Germain) right footed shot from the centre of the box is close, but misses to the left. Assisted by Leandro Paredes with a through ball. Attempt missed. Aleksandr Golovin (Monaco) left footed shot from outside the box is close, but misses to the right. Assisted by Adrien Silva. Attempt blocked. Benjamin Henrichs (Monaco) right footed shot from outside the box is blocked. Attempt saved. Kylian Mbappé (Paris Saint Germain) left footed shot from a difficult angle on the left is saved in the centre of the goal. Assisted by Marco Verratti. Attempt blocked. Rony Lopes (Monaco) left footed shot from the left side of the box is blocked. Assisted by Jemerson. Goal! Paris Saint Germain 1, Monaco 0. Kylian Mbappé (Paris Saint Germain) right footed shot from the centre of the box to the top left corner. Assisted by Moussa Diaby with a through ball following a fast break. Hand ball by Colin Dagba (Paris Saint Germain). Substitution, Monaco. Diego Benaglio replaces Danijel Subasic because of an injury. Delay in match Danijel Subasic (Monaco) because of an injury. Attempt saved. Rony Lopes (Monaco) left footed shot from the left side of the box is saved in the bottom right corner. Assisted by Radamel Falcao.